A Light Being (of which we all are) means we operate from a state of frequencies. These frequencies seem to operate in layers which range on a spectrum of vibrational densities. The density levels are influenced by many factors, one such factor is our Environment, or reality. This we create for ourselves and it is a determining factor of how we experience life in this chosen reality. In turn, this factor strongly governs the frequency density level of our Being. Our consciousness is married into the mix and it's prime function is to guide our frequency. Allowing us the opportunity to create experiences that serve us for evolutional growth. Our soul purpose therefore is growth or a better description is expansion. Our purpose as a Being of Light is to first and foremost realise that we are Light, we need to acknowledge it, then we can open and expand it. It sounds simple, and it can be that way, our biggest challenge is that we block our core essence (Light) through heavy or some may call them dark layers of frequencies, these layers are still light and are part of the frequency spectrum but some have called these 'fear' based blockages. These we carry with us from life time to life time (incarnation cycles of birth, death and re birth) if we don't shift them up the spectrum. Some refer to these challenges as Karmic debts that need to be cleared. The motion that karmic debts have a cause and effect element to them can lead to a distortion of the truth of what these frequencies truly are. (lower denser frequency levels of Light). The Karmic theory implies that we have carried out a negative action (which carries more fear based light) and needs a positive action to balance it out. If we take our Light spectrum again, this doesn't actually work, all we are doing is moving the density level a little one way then the other. So in reality just staying in the same place. Our purpose is to move the density levels up towards the Light or we could call Light - Love frequency and the Dark - Fear frequency. So we can see and realise it more clearly in our reality. We are all more familiar with what love and fear feels like in our reality. The most effective way to shift towards Light - Love is by using our 'intention', intent is such a powerful tool that we all hold in our possession. And what will materialise when we make that powerful shift is that we will start to realise in our reality more of that frequency that our Light Being is operating at. The frequency will be realised in our reality through our experiences, it will be all around us, because energetically we are attracting it to ourselves. This is the correct principle of the Law of Attraction'. So how do I make the shift to a more Love - Light frequency? 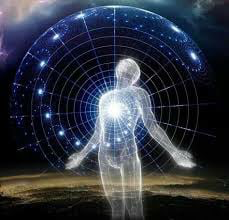 I would invite you to take one aspect of your life, it maybe your relationship with your partner, your career or something else, and I would take some deep breathes to connect to your Light. Ask this question "where am I on the Light spectrum (0 fear - 10 love)". Wait for your response, it may come immediately or it may take all day. Once you have your answer, you can work on shifting it higher if you need to. Shifting it higher is done with awareness, when a situation or opportunity arises, think do I ,approach this from my Love - Light or Fear-Light... and subject to your decision and actions this will shift your frequency in that direction. Awareness is key, so open your eyes, heart and light in every situation you encounter and the shift to Love - Light frequency will be realised and reflected back to you very quickly.